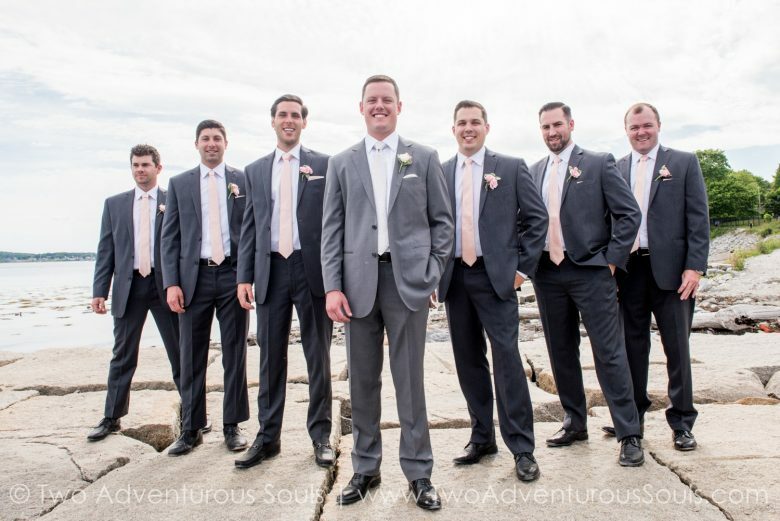 Sarah and Jeff were married on the Coast of Maine in June for their Samoset Resort wedding. 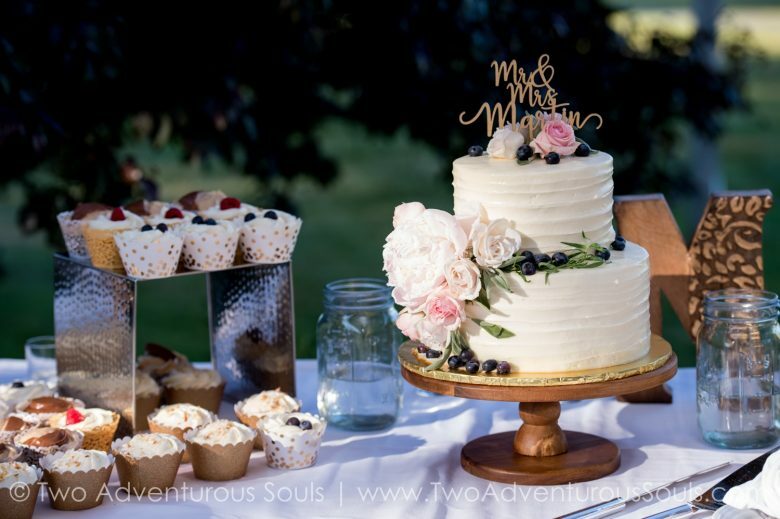 We first introduced this adorable couple to you on our blog for a special meet our couple series. 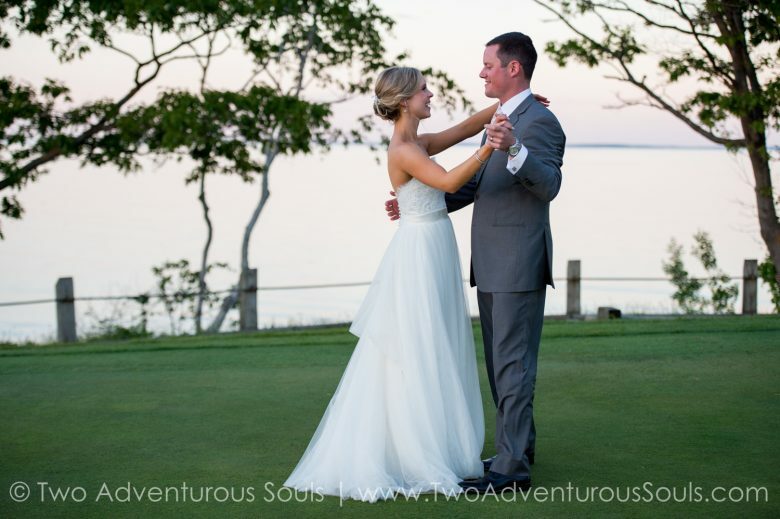 It has been a wonderful 18 months to get to know them and put a music plan together for their special day. 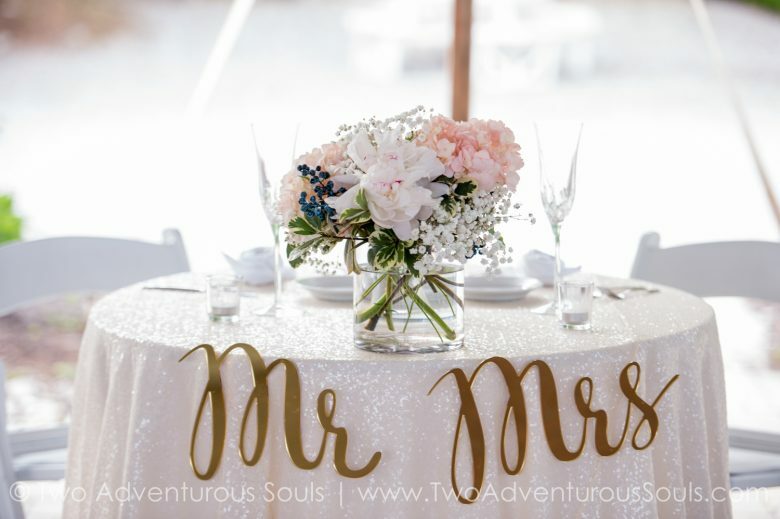 The details they added to their dream wedding were romantic and elegant and thanks to mother nature, the cotton candy skies and color scheme were meant for each other. 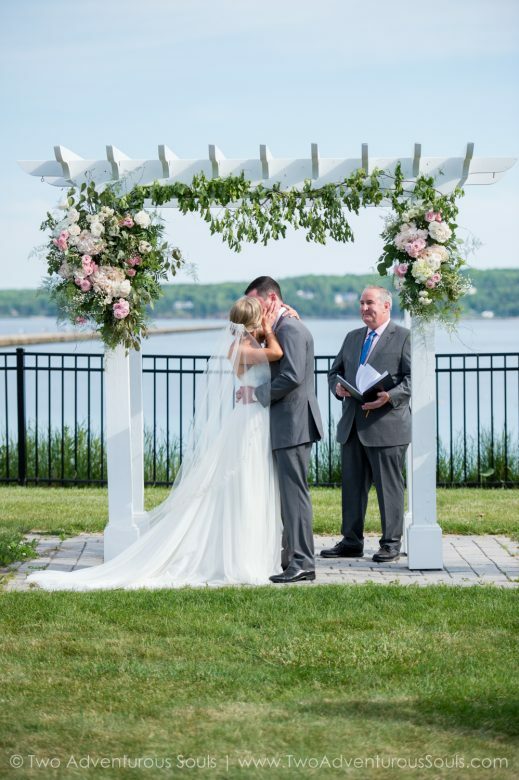 Sarah and Jeff have had a connection to Maine since childhood and instantly knew the Samoset Resort was the place they wanted to say “I do”. 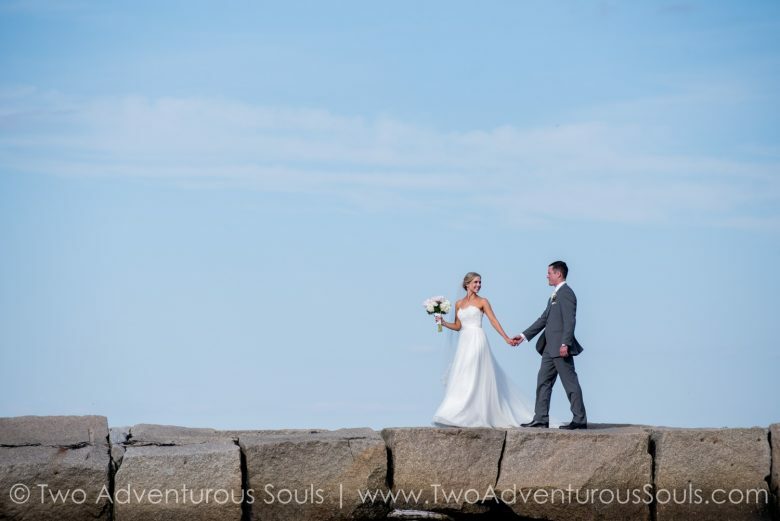 We love the coast for it’s stunning beauty and breathtaking backdrops and the Samoset Resort definitely delivered for Sarah and Jeff’s wedding day. We are honored that they asked us to be a part of it. 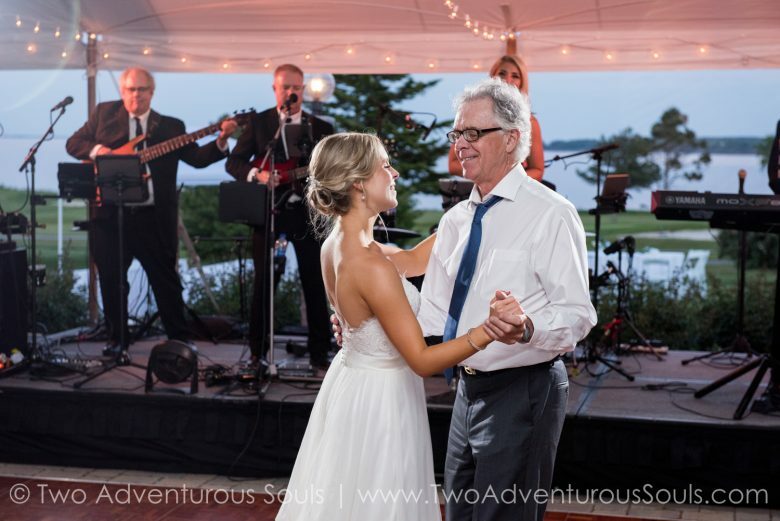 Knowing that a live band was a top priority for Sarah and Jeff because both dads play in bands and music is a big part of their lives, we wanted it to be a memorable experience for them. The happy smiles say it all. 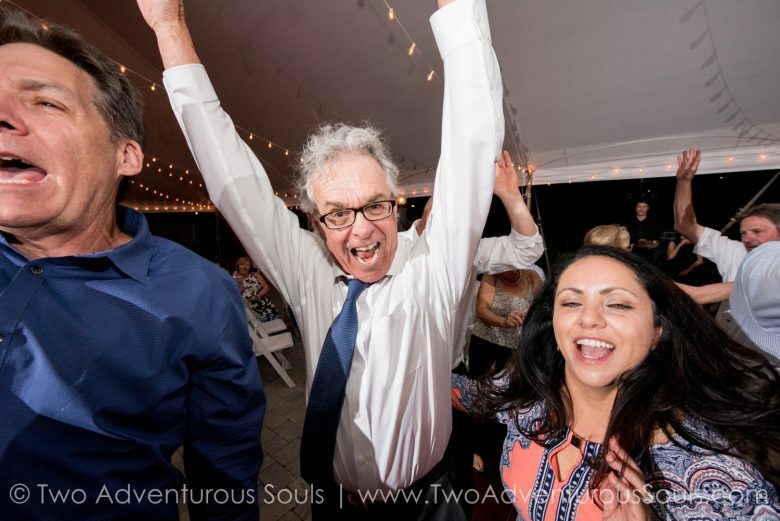 They toasted, giggled and danced their way into married life and Two Adventurous Souls captured it all! 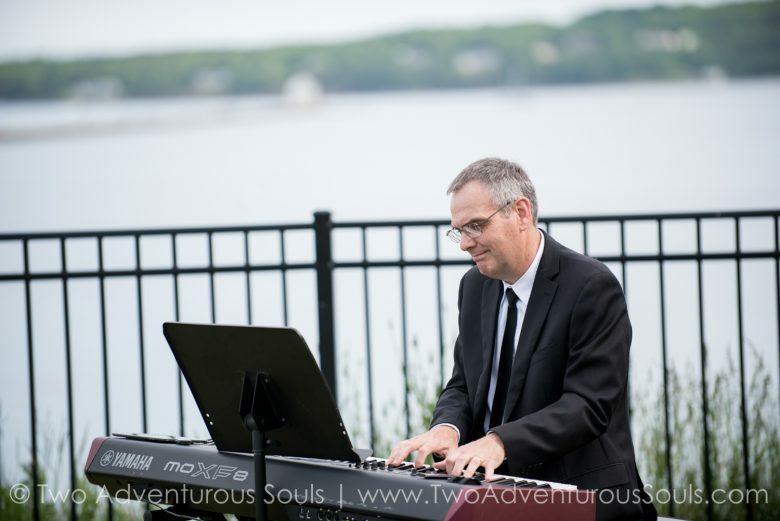 For the ceremony at the breakwater, Paul Dionne played keyboards. 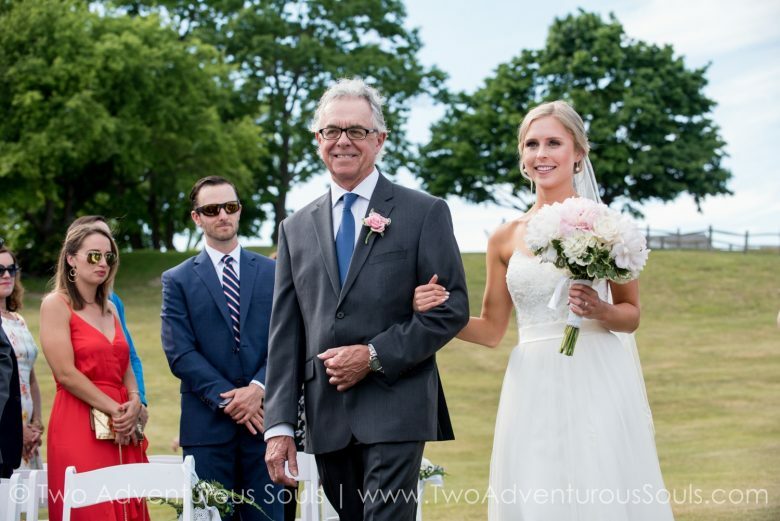 Sarah always dreamed of walking down the aisle to “Canon in D” and it was perfect. While the couple went off to take photos, Paul French entertained guests during cocktail hour on the front lawn with acoustic guitar. The gorgeous view was in sight during the tented reception and provided the most stunning backdrop. “I Gotta Feelin” was a great way to start the night with introductions. 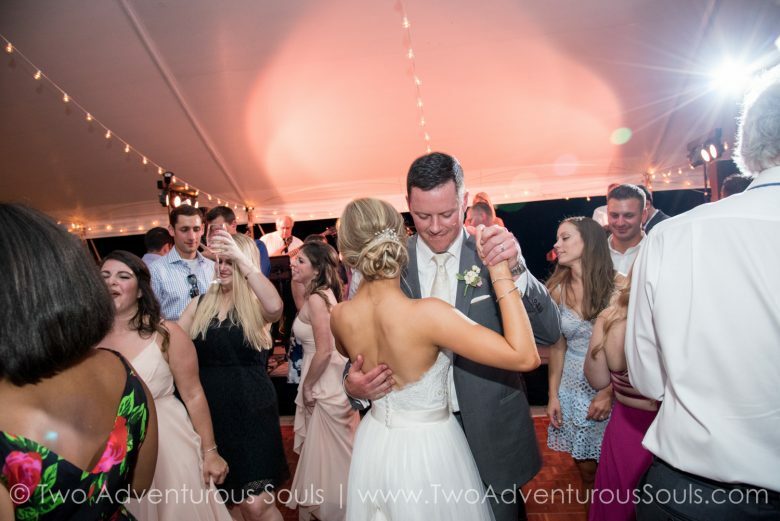 Sarah and Jeff took dance lessons and perfected their choreographed first dance to “We Got Us” by Caneen Smith ending with a spin and a dip. 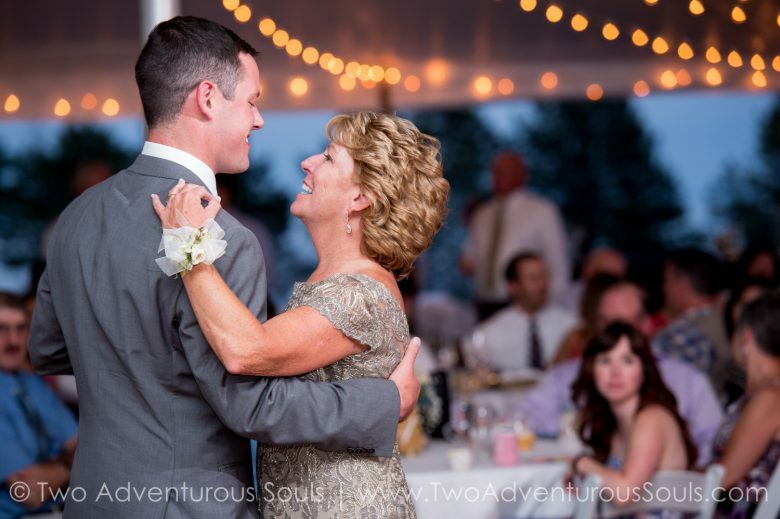 Jeff danced to “My Wish” by Rascal Flatts with his mom for the mother/son dance and Sarah and her dad’s father/daughter dance kicked off the dance party with their song, “Free Fallin’” by Tom Petty. This had always been there song since Sarah was little. 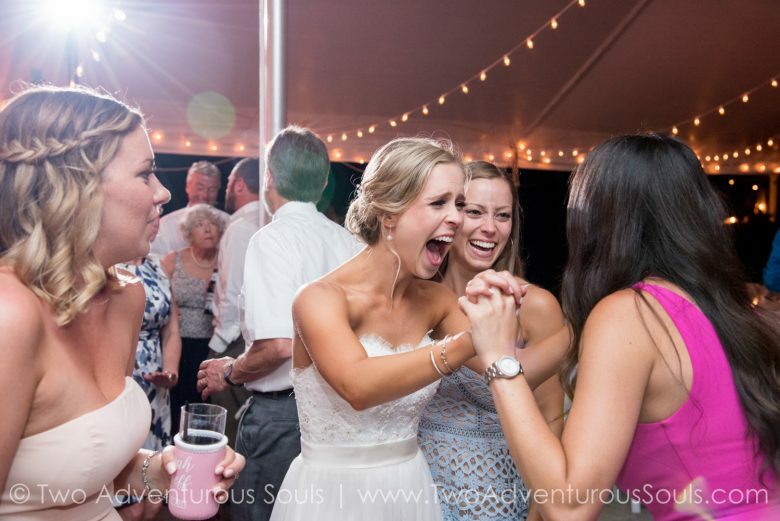 As Tom Petty fans, we had to make sure we covered “American Girl” before ending the night with Natalie Cole’s “This Will Be” for their last dance request. 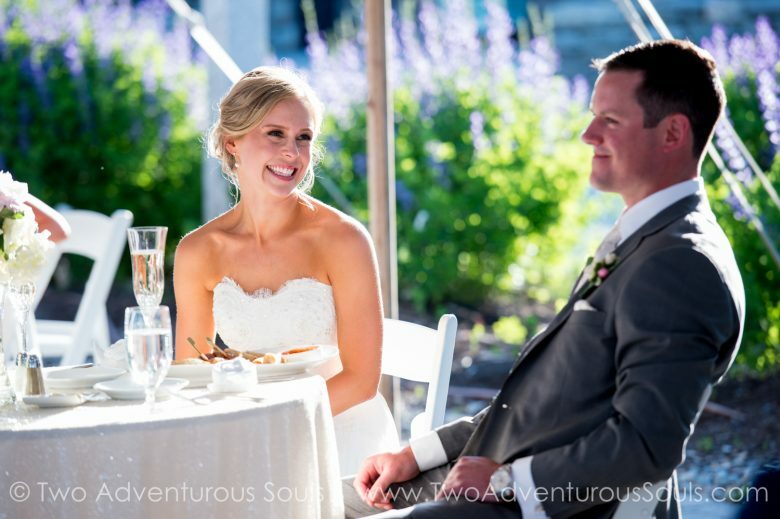 We are excited to share Sarah and Jeff’s wedding story here with images by Two Adventurous Souls. 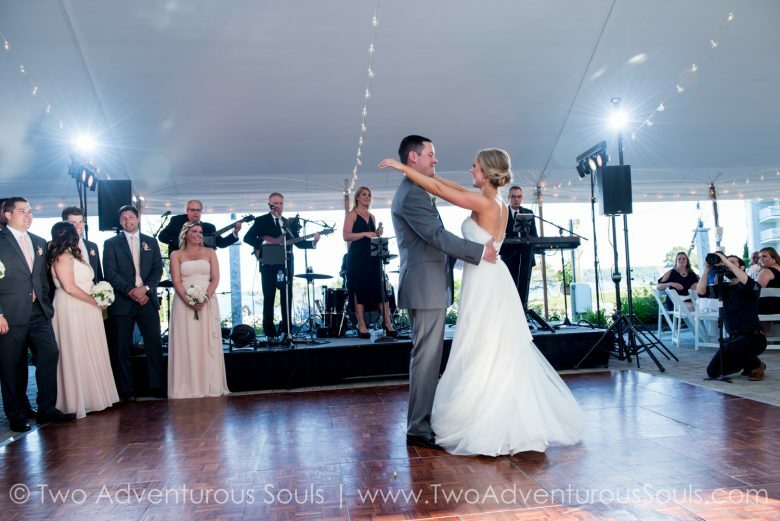 Sarah’s review as seen on The Knot and Wedding Wire: We are so happy we chose Wavelength for our wedding! 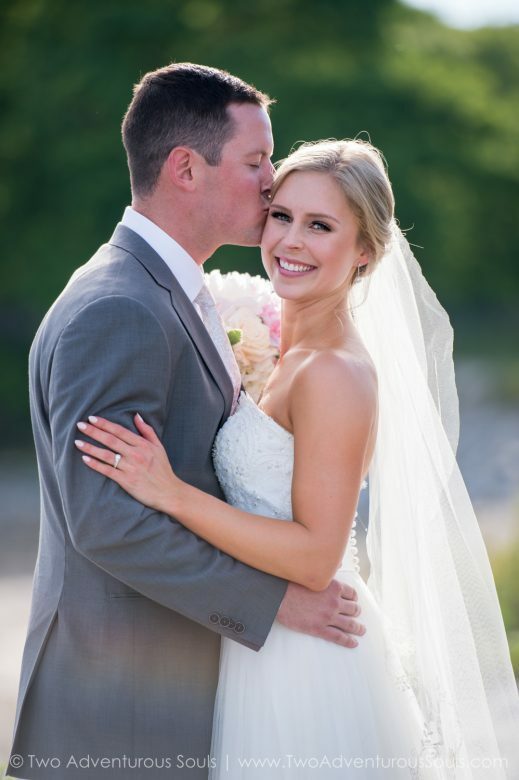 Throughout the wedding process, Johnna, the manager, was extremely responsive and understanding with all our requests. 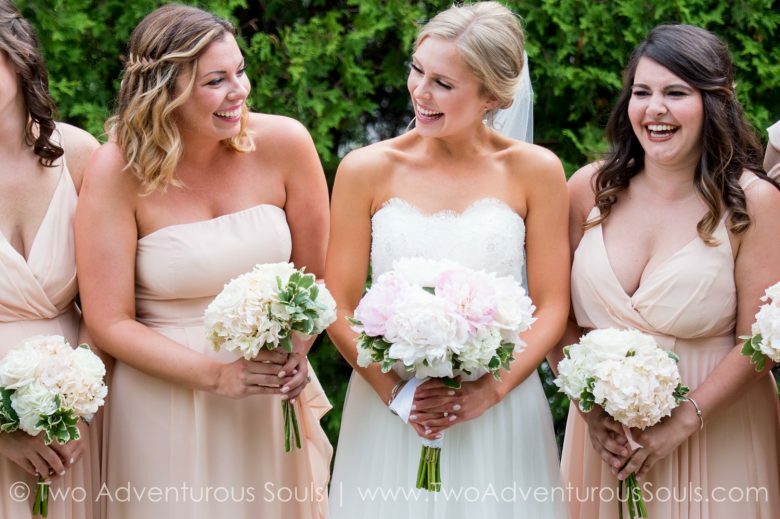 They’re also highly active on social media, so it was super fun watching all of their instagram videos and pictures leading up to our big day. 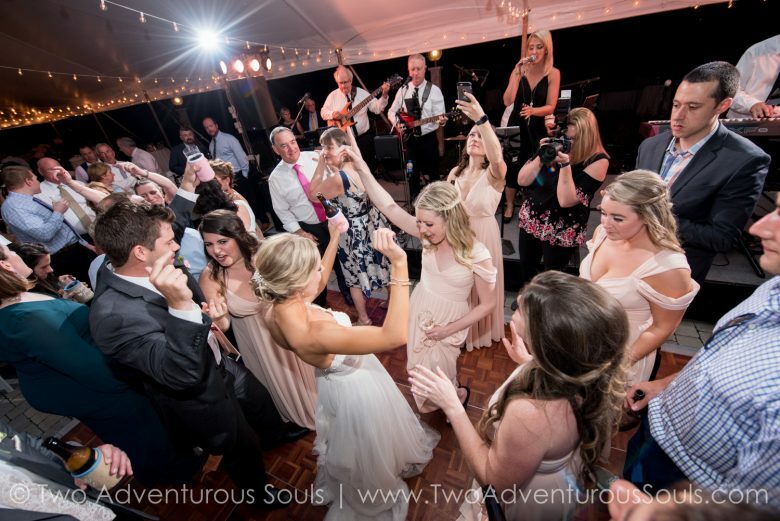 The band even learned our first dance song for us! 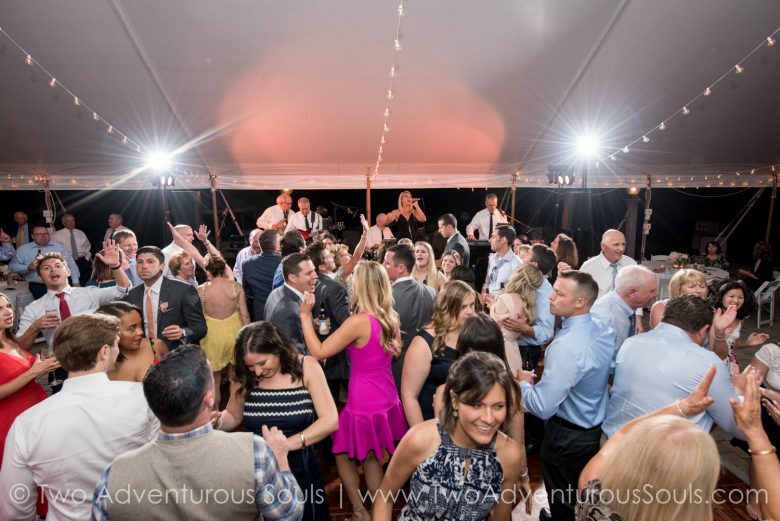 They did an incredible job with energizing the crowd, MCing, and bringing FIRE to the dance floor! 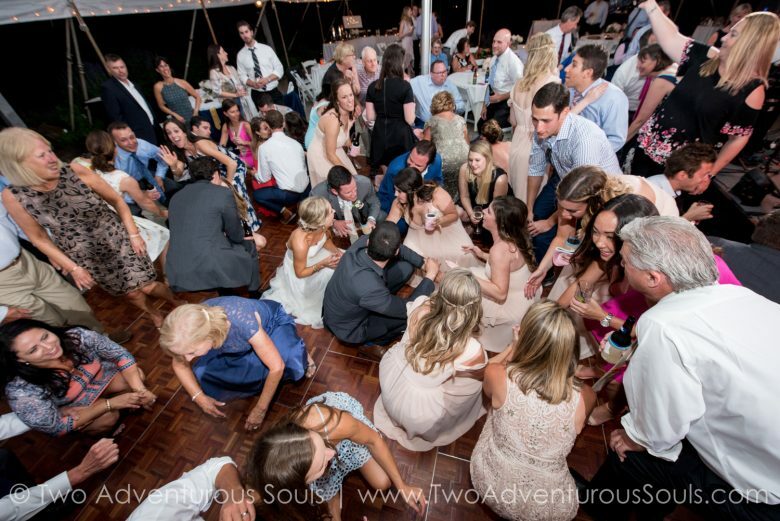 After the ceremony, dinner and making sure we said hi to all of our guests, all I envisioned on my wedding night was to be up on the dance floor having the best time with those closest to us. That’s exactly what happened, thanks to Wavelength. 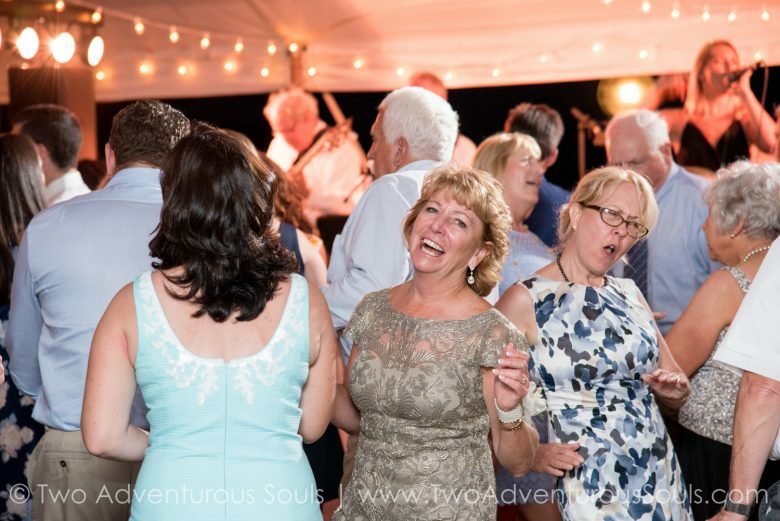 All of our family and friends are still raving about how wonderful the band was! Thank you, Wavelength, for setting the whole tone at our reception! For more images, visit the Two Adventurous Souls blog post.